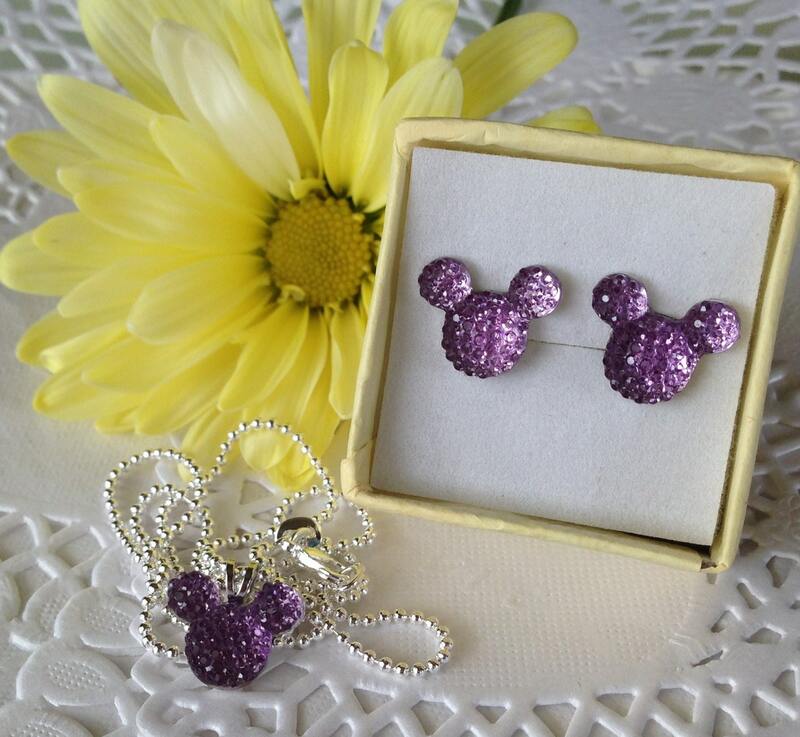 Mouse ears pendants and post earrings are adorable and so elegant to wear. This mouse ears jewelry set matches Hair swirls in other listings that are Perfect for Weddings, Prom Up dos, Bridal Parties, Dancers, Twirlers, and Skaters! 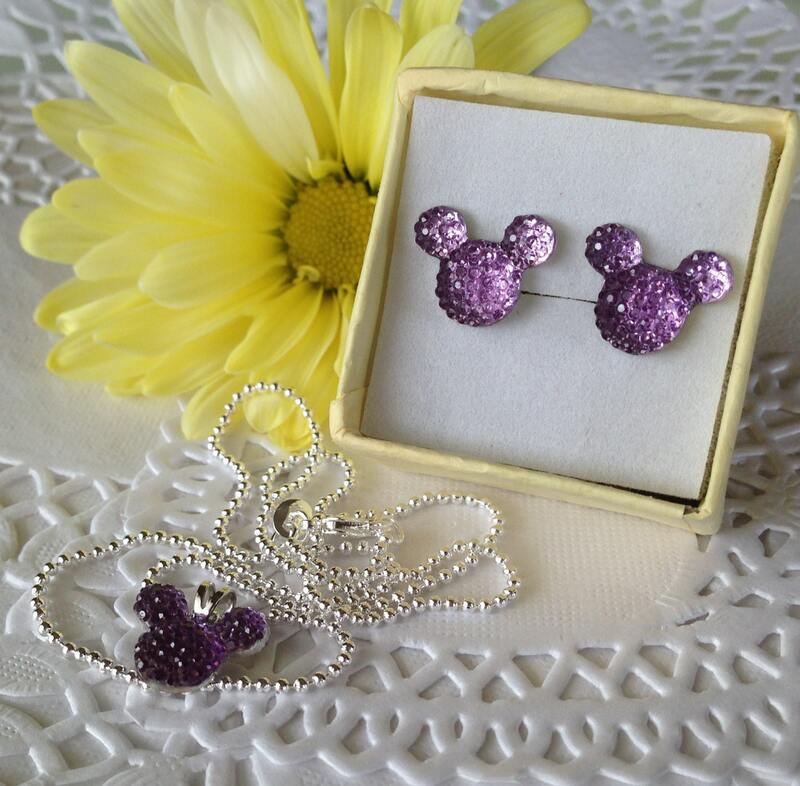 This listing is for both the mouse ears pendant and the mouse ears earrings in lavender. What can I say about these little mouse ears. These are my newest rhinestones. Even though they are acrylic, I am calling them rhinestones as they have more sparkle than any other rhinestone I use. You won't be disappointed in these. 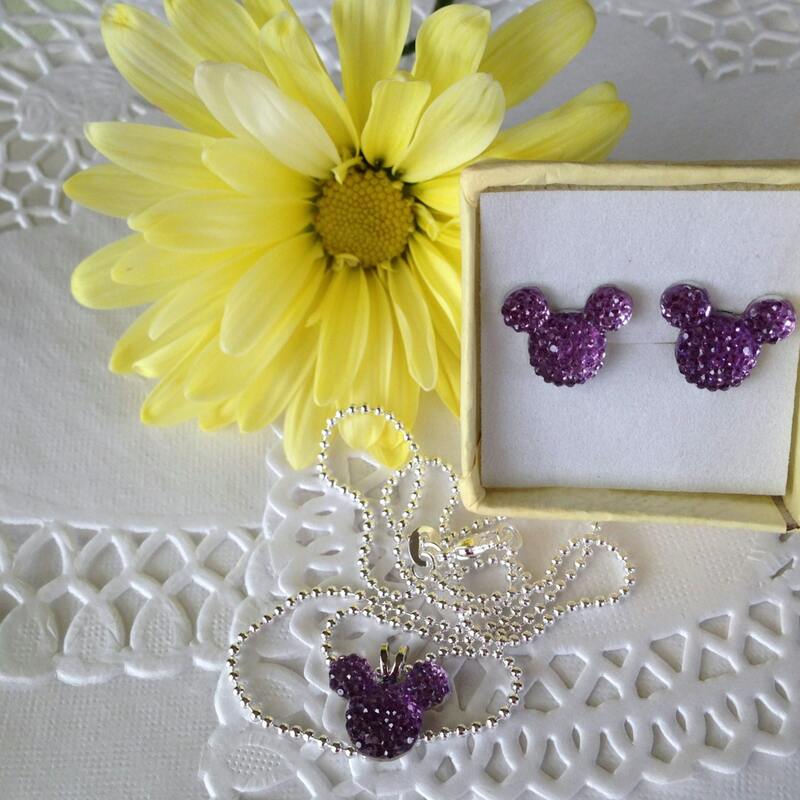 This listing is for one adorable mouse ears necklace and earrings in dazzling lavender acrylic. Each mouse pendant is about 1/2 inch in size. Each tiny mouse has many tiny facets that sparkle when light hits them. The mouse ears pendant comes on a pretty 18 inch silver tone chain. 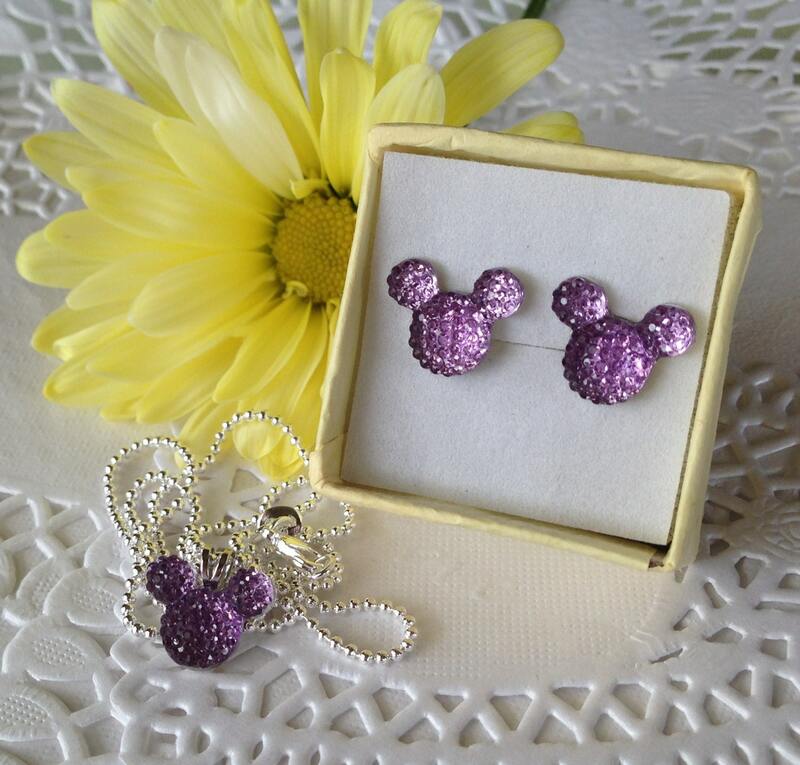 These adorable lavender Mouse ears pendants and earrings would make a perfect bridal party gift especially for a mouse themed wedding. The mouse ears pendant comes in 19 more colors. Watch for your favorite. 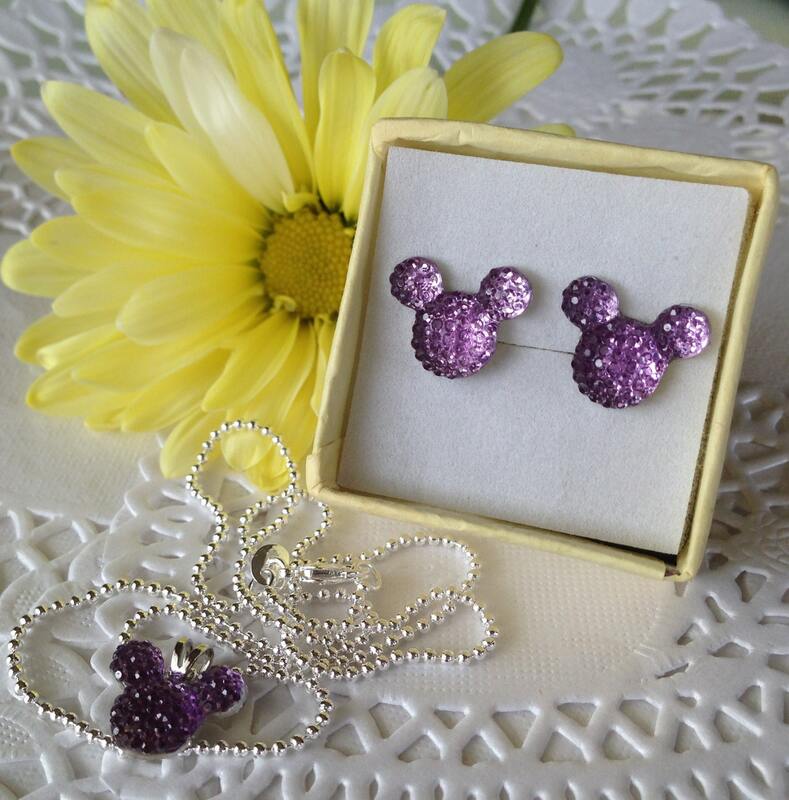 If you need more than one lavender mouse ears necklace set please let me know and I will list more for you. Convo me if you have any questions or want a private listing for your bridal party.